"Intelligent solutions that will be developed in close consultation with our customers are the basis for a successful and sustainable cooperation." 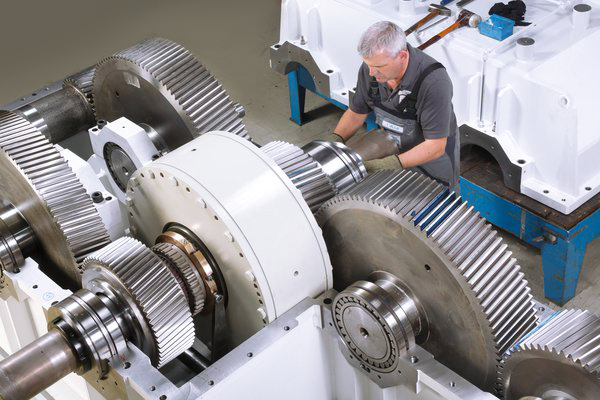 Henschel´s Special gearboxes are combining power, reliability and robustness. Whether highest effectiveness in energy technology, complex special cases for test stands or highest availability for different applications, you can find our products wherever extreme requirements are requested. Hardest operational conditions, high reliability at environment temperature of -50°C are an appreciated challenge. Even at design phase, we focus efficiency, lifetime and operational reliability of your products. In close cooperation fitting to your needs,we are developing remarkable drive solutions in various areas of drive technology, such as high speed, turbo, planet, helical gear and bevel gearboxes. Henschel gearboxes in continuous operations. With us you are testing innovations.